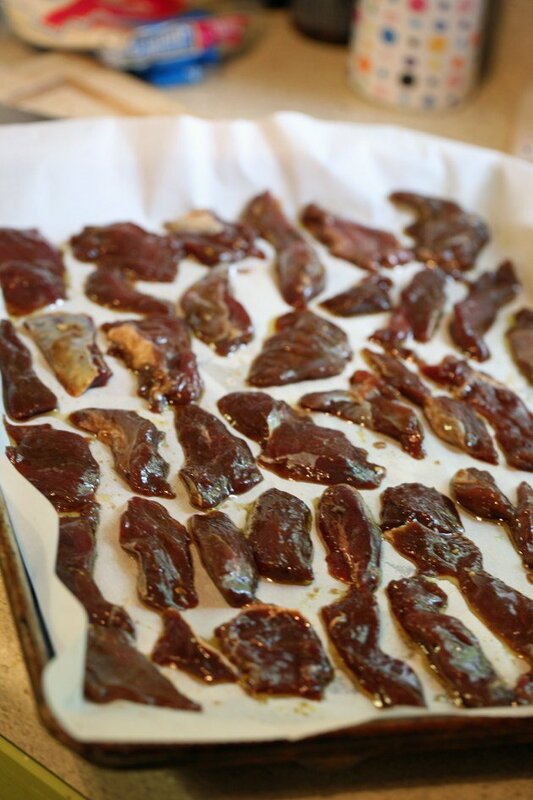 My favorite way to use the deer we process in the fall is to make deer jerky in the oven. My kids love it, I love it… It’s not really a meal but it’s filling just like a meal. I take it out of the oven and it takes no time before it disappears. You can play with the marinade however you want. You can make it spicy or sweet or somewhere in between. It’s a really flexible dish. The freezer is empty. Well, there are a lot of vegetables from the garden there, but no meat. The four deer we processed last fall are in our bellies, the chickens we processed earlier this summer are also in our bellies and I now need to purchase meat from the grocery store. Unfortunately, we can’t afford meat from local farms at the moment and it’s a big problem because once your body gets used to eating clean meat there is no way back. Eating meat from the grocery store simply makes you feel bad. I am not putting anyone down, I am more than thankful that we can go get our meat at the store. But I have to be honest and note that something is not right with it (I know this is no news to you guys but I kind of forgot…). I didn’t spend any time researching commercial meat production practices but boy, I can feel the difference in my body. We ate so much food from the homestead this summer (2017): loads of organic vegetables from the garden, homegrown chicken, and deer we harvested last fall. 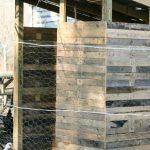 Even though the work is backbreaking and brutal, simply because there is so much to do all at once (plus taking care of four young kids…), we felt so strong and had plenty of energy. I believe it’s directly connected to the food we ate. Then we finished all the meat just a short couple of weeks ago and the garden is in transition to the fall now so there is not as much there, and in such a short time I feel such a major difference in my body. Thanks to essential oils, this situation is still manageable, but what a great reminder this as to why I am are doing what I am doing! Sometimes in the midst of the craziness that is weeds and chicken poop you stop and ask yourself, why am I working so hard, why am I doing all this when I can drive 20 minutes down the country road to town and get a package of nicely wrapped meat ready to be used? I don’t need to feed it, I don’t need to clean its poop, I don’t need to water it, I don’t need to butcher it, I don’t need to clean the mess… I pay for it and it’s conveniently there. 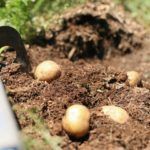 Aside from the fact that I love the feeling of being responsible for myself, learning skills that allow me to not depend on others, feeling the connection to the land and to the food that gives us life, commercial food simply doesn’t feel good. Period. I encourage you to give it a try. 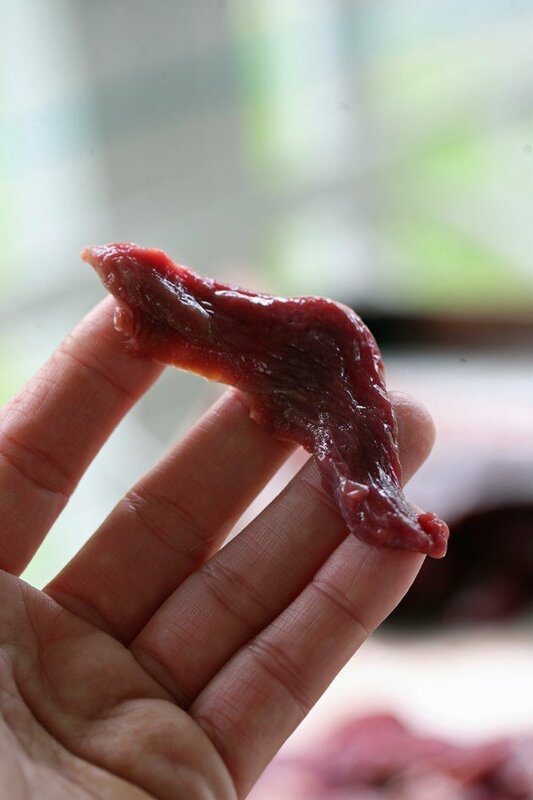 Maybe you have a hunter friend or you know a local organic farm, buy meat from them that will last you a month and eat this meat instead of what you usually buy at the grocery store and observe your body. Fatigue, mostly gone. Digestive issues, gone. Gas, none existent. Hair loss and other symptoms that are a sign of hormonal imbalance, reduced dramatically. I am seriously contemplating becoming a vegetarian until we get more meat, but it won’t fly around here. Anyway, you can probably see how eagerly I am waiting for the hunting season to open. 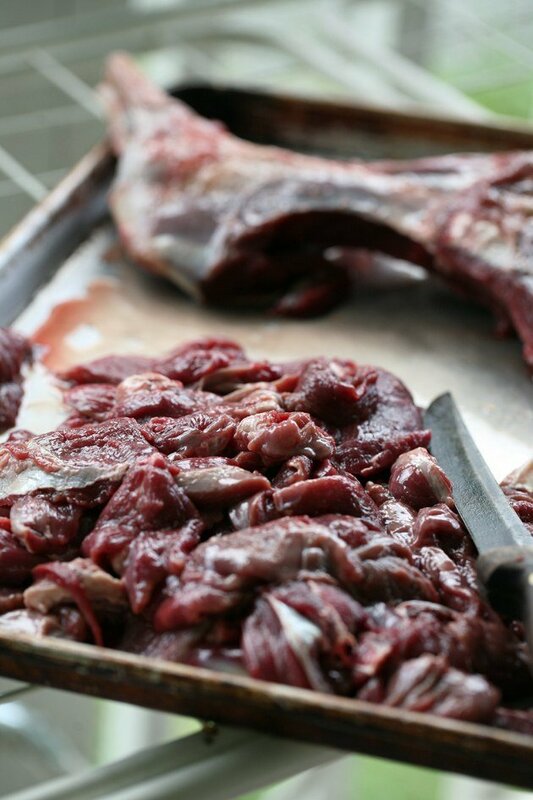 Deer meat, harvested right from nature is simply the best thing you can put in your body. 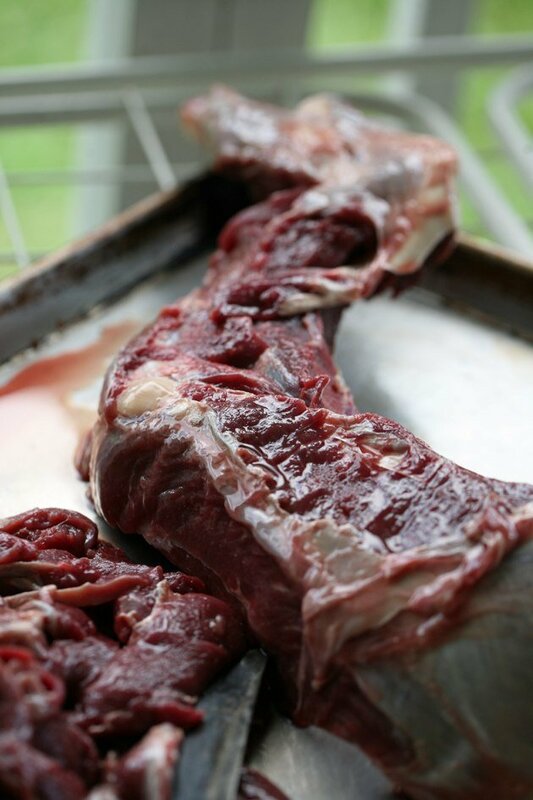 It’s even better than home raised meat because in most cases your homegrown animals still eat food from the store. Today I am sharing with you our favorite way of fixing it. Basically, you can use deer instead of beef. 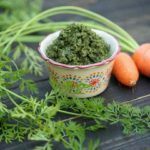 You can make stews with it, fry it, ground it and make meatballs or hamburgers… Anything that you do with beef. My kids’ favorite way of eating it is dry as jerky. They can snack on it the whole day and I don’t have to serve anything else besides it. We made it in the dehydrator a few times and it came out great. You can save it for a long time this way, but it doesn’t last long at all around here anyway so I prefer making it in the oven simply because it’s faster. 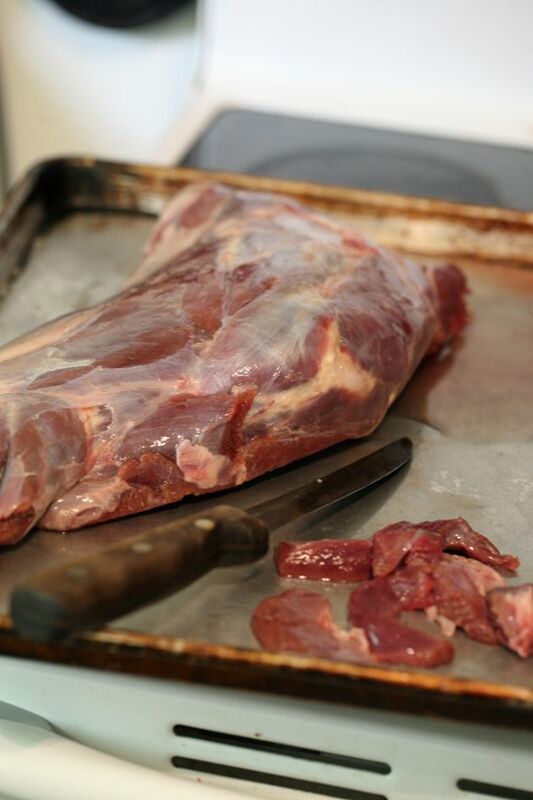 I started with a big piece of venison and a very sharp knife. In this case, it was a front leg but it can be any piece. You want to try and cut all of them the same thickness so they bake evenly. It wasn’t easy to get all this meat off the bone. It will be much easier if you use a chunk of roast or steak and it’s easier to cut when the meat is still a bit frozen. But it’s our favorite way of eating venison and it was our last piece so I made the effort. Once I had as much meat as I could cut off the bone, I seasoned the bone (olive oil, garlic salt, paprika, and black pepper) and baked it in the oven on 350F for an hour and a half or so. We then eat the meat off of it (there is still so much on there) and gave the bone to the dogs. The strips I cut for the jerky need to be marinated. 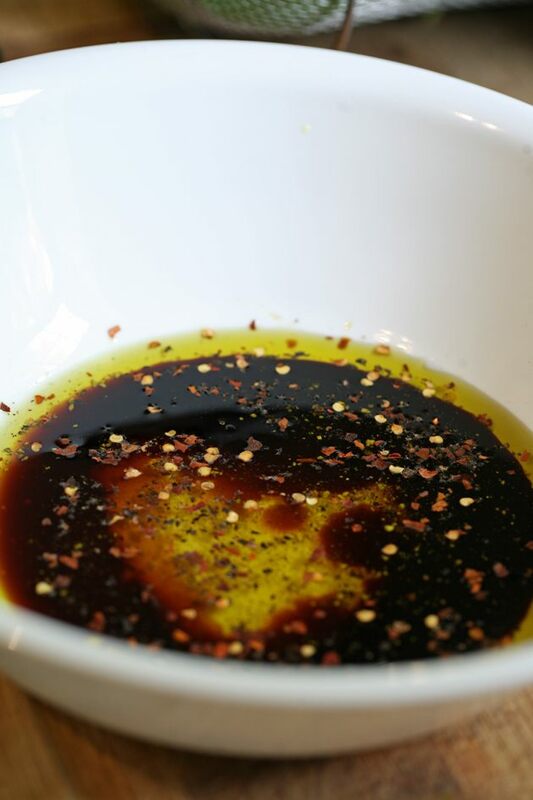 I mixed a little bit of olive oil, soy sauce, honey, red chili pepper flakes, garlic powder, and black pepper. You can also add ginger powder if you have it. Salt can be added as well but just take into consideration that soy sauce is pretty salty. Place the meat in the marinade and mix so they are coated well, cover with plastic wrap and let the meat marinate in the fridge for a few hours but preferably overnight. Again, I can’t remember the exact measurements of the ingredients however it depends on how much meat you have, but if you see that you don’t have enough of marinade after you put the meat in just add some more of each ingredient right on the meat and mix. When you are ready to bake it, lay the pieces of meat in one layer on a baking sheet lined with parchment paper and bake on 300F. I start with an hour and then from there, you can keep baking it more depending on how dry you like it. I usually leave it for an hour and a half or so. 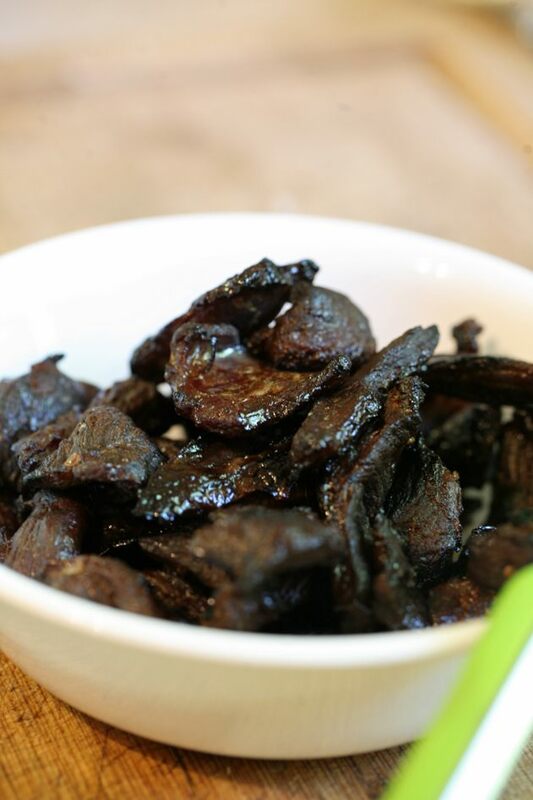 It will come out dry and dark (because of the soy sauce) and delicious! 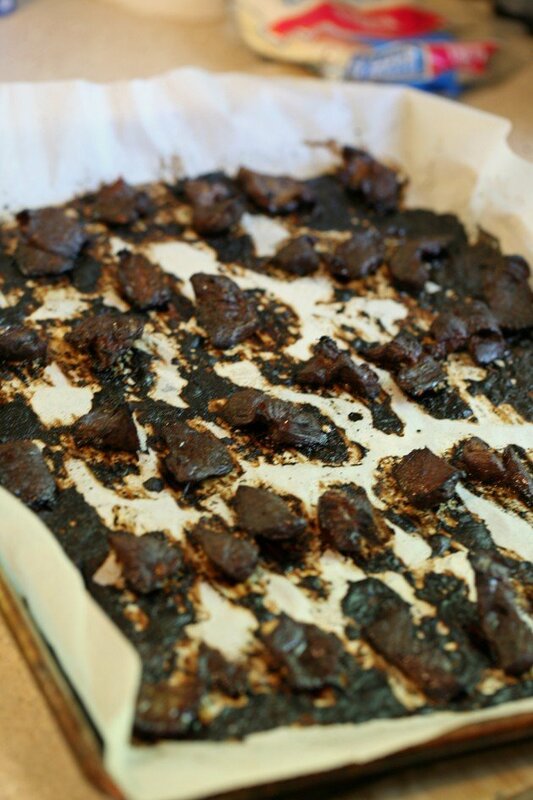 Don’t keep those out at room temperature like you do with jerky you made in a dehydrator, they are not quite as dry. 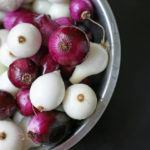 But you can certainly store them in the fridge if you want for a few days. In our house, they don’t last long enough to make it to the fridge. It looks like we are going to need more than four deer this year. I hope we get at least that but I’ll be happy with any number. If we get more than we need there are many people around here that are in need and appreciate this meat so we will just share with others. 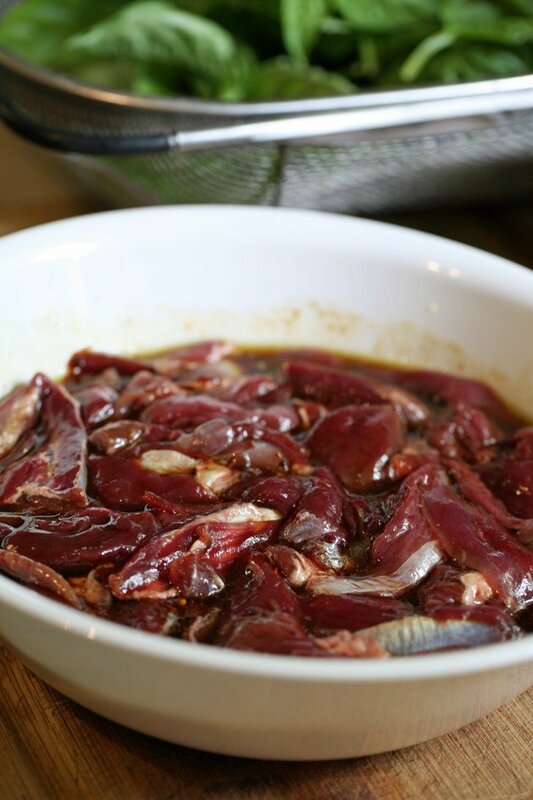 Have you ever tried deer meat? Do you hunt? I love reading your blogs. I’m sure it is very difficult to understand people and their ways. But their ways are not yours and you don’t need to worry about what anyone thinks. I believe you are doing something wonderful for you and your family. I grew up eating organic and farm raised animals- because I was poor and all we had. I do remember feeling better. So keep doing what you want to do for you and family and God bless you!! !